In LEGO® Elves, teenager Emily Jones has been transported to a magical world. Children must help Emily find her way home, as four Elves (Azari Firedancer, Farran Leafshade, Naida Riverhearth, Aira Windwhistler) embark on an epic quest to find 4 missing keys to a portal. On the journey they will encounter a sailing ship, magical bakery, treetop hideaway and much more. 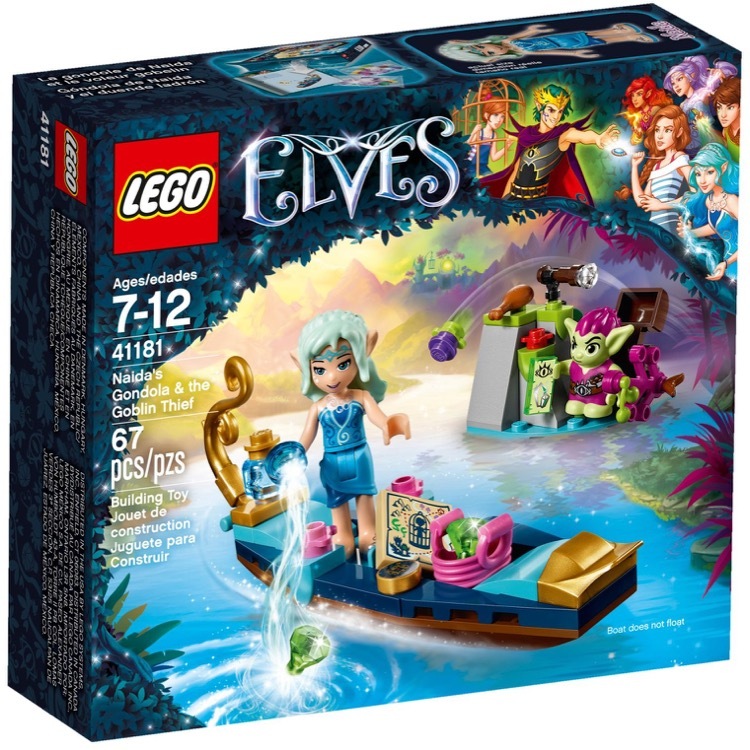 The rich LEGO Elves fantasy world also means children can easily create their own epic quest with the elvish companions. Discover secret functions in the sets, and watch the magic turn into reality. 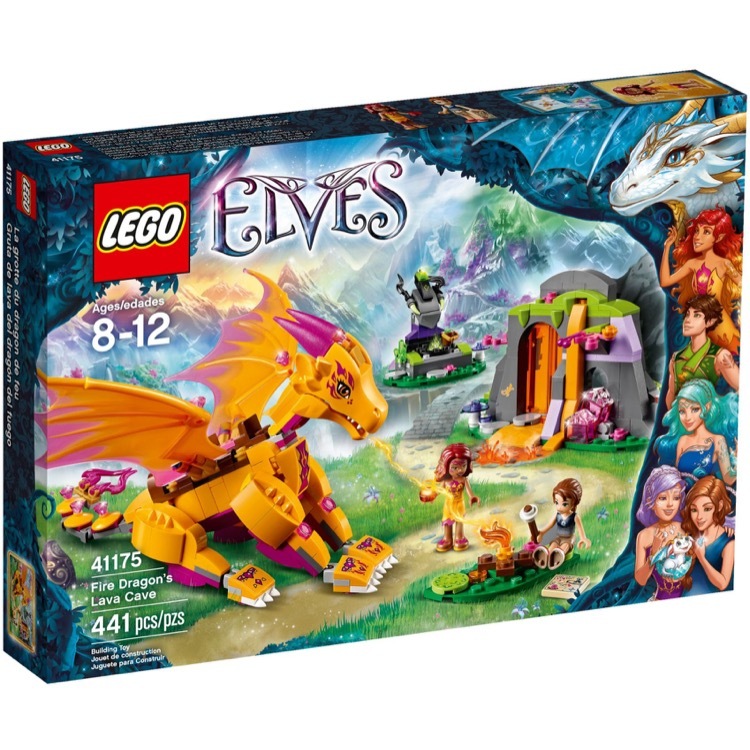 This is a BRAND NEW set of LEGO® Elves 41175 Fire Dragon's Lava Cave from 2016. This set is still factory sealed and the box is in very good condition with minor shelf wear. 441 pieces and 2 minifigures©. 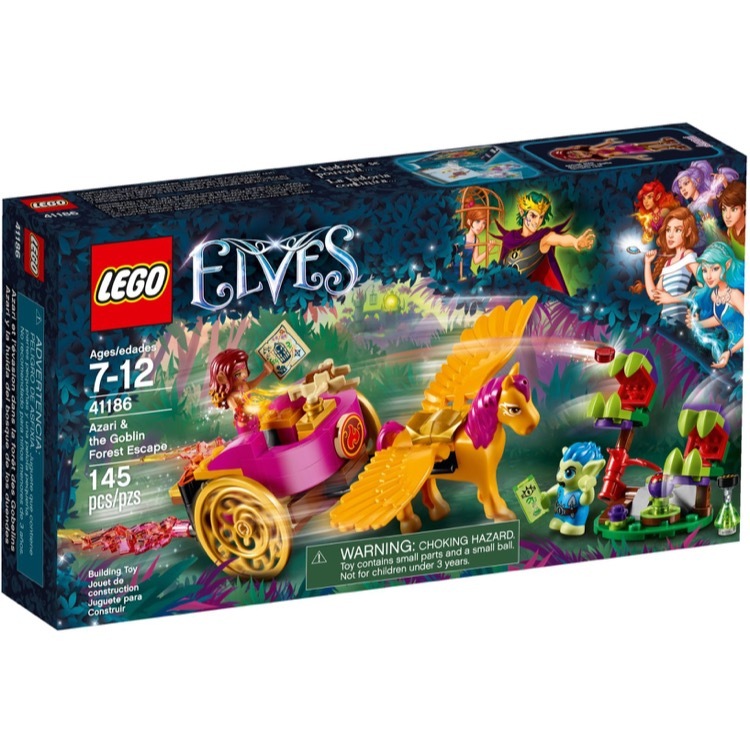 This is a BRAND NEW set of LEGO® Elves 41181 Naida's Gondola & the Goblin Thief from 2017. This set is still factory sealed and the box is in very good condition with minor shelf wear. 67 pieces and 2 minifigures©. 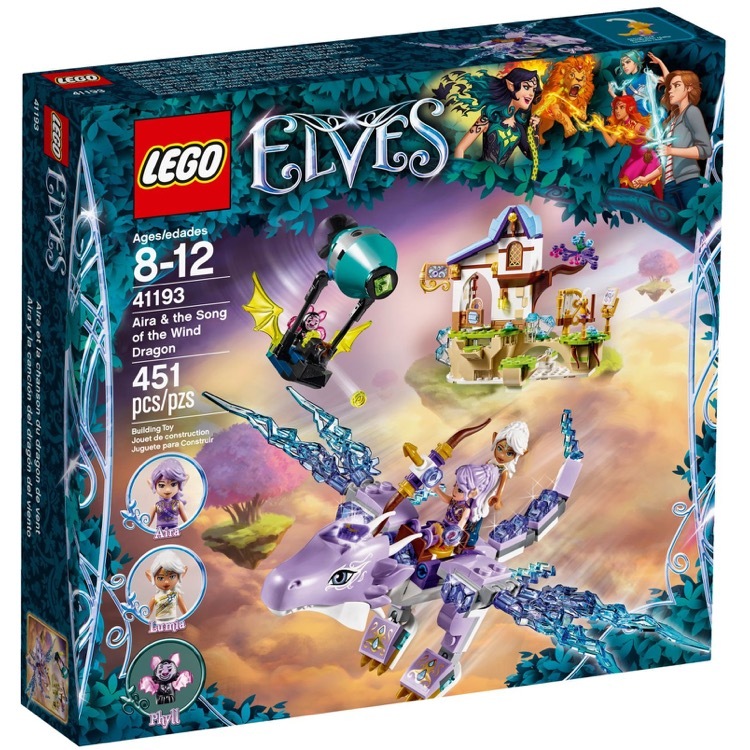 This is a BRAND NEW set of LEGO® Elves 41182 The Capture of Sophie Jones from 2017. This set is still factory sealed and the box is in very good condition with minor shelf wear. 226 pieces and 2 minifigures©. 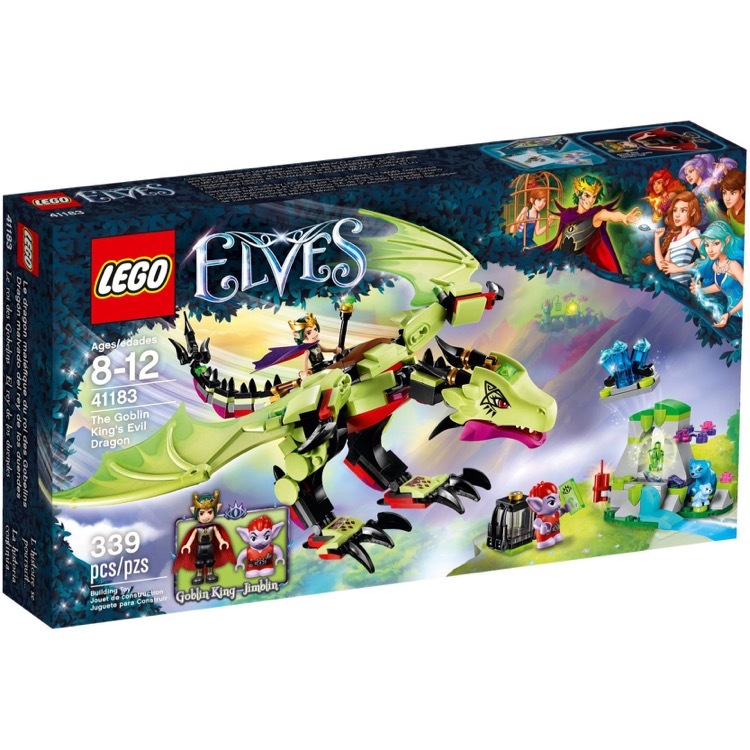 This is a BRAND NEW set of LEGO® Elves 41183 The Goblin King's Evil Dragon from 2017. This set is still factory sealed and the box is in very good condition with minor shelf wear. 339 pieces and 2 minifigures©. 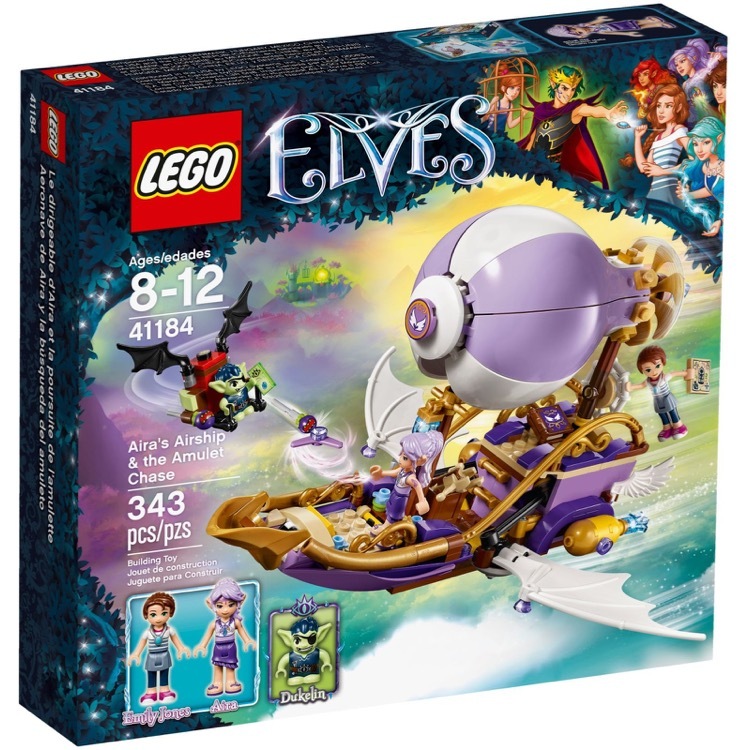 This is a BRAND NEW set of LEGO® Elves 41184 Aira's Airship & the Amulet Chase from 2017. This set is still factory sealed and the box is in very good condition with minor shelf wear. 343 pieces and 3 minifigures©. 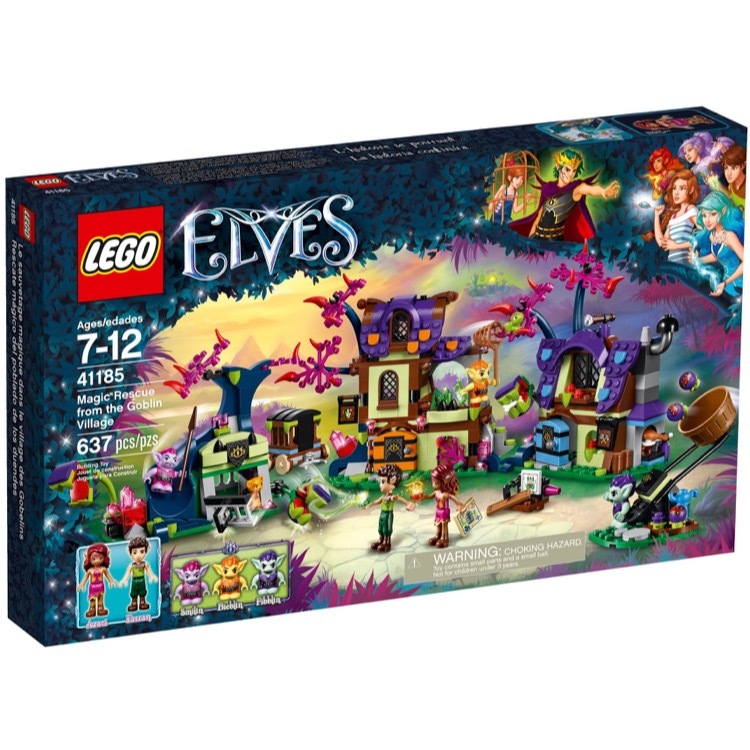 This is a BRAND NEW set of LEGO® Elves 41185 Magic Rescue from the Goblin Village from 2017. This set is still factory sealed and the box is in very good condition with minor shelf wear. 637 pieces and 5 minifigures©. 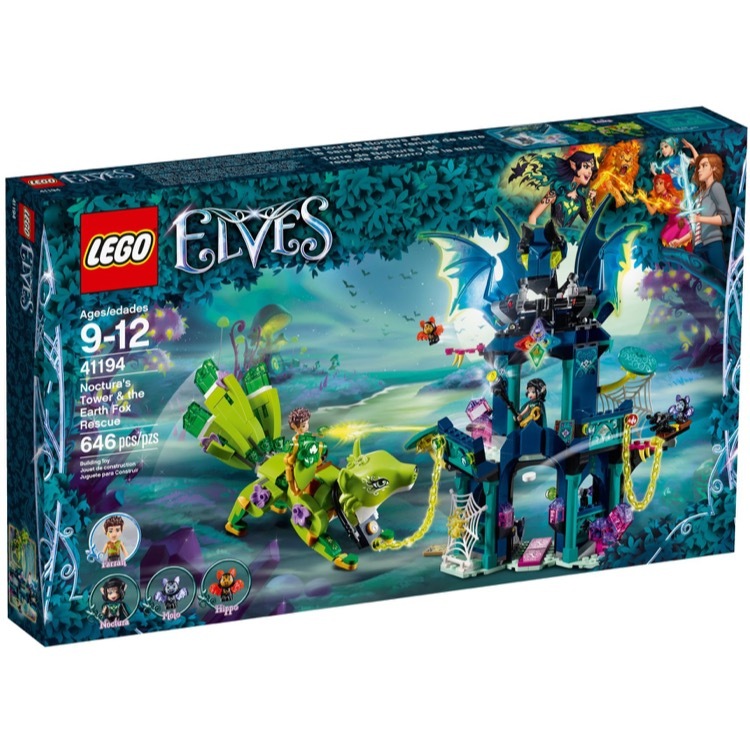 This is a BRAND NEW set of LEGO® Elves 41186 Azari & the Goblin Forest Escape from 2017. This set is still factory sealed and the box is in very good condition with minor shelf wear. 145 pieces and 2 minifigures©. 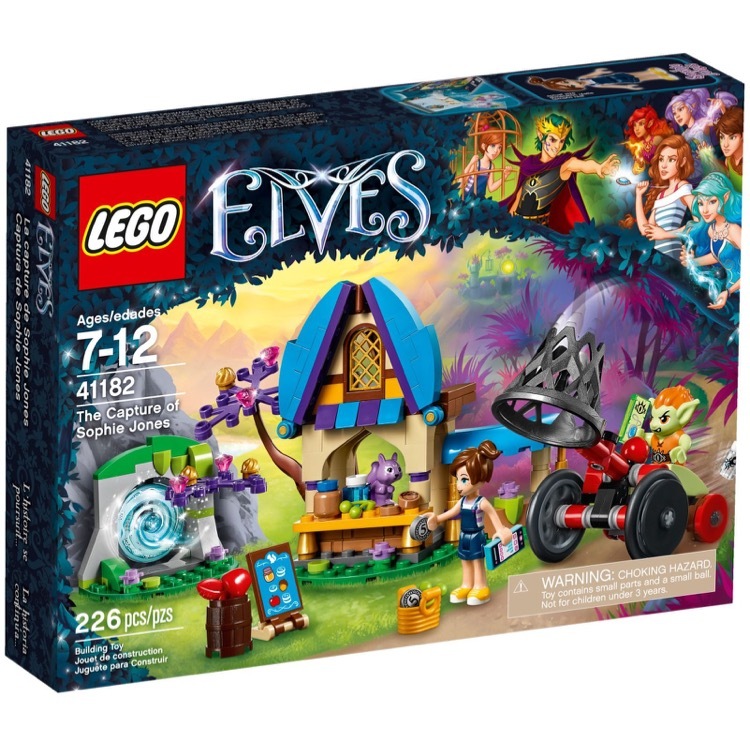 This is a BRAND NEW set of LEGO® Elves 41187 Rosalyn's Healing Hideout from 2017. This set is still factory sealed and the box is in very good condition with minor shelf wear. 460 pieces and 3 minifigures©. 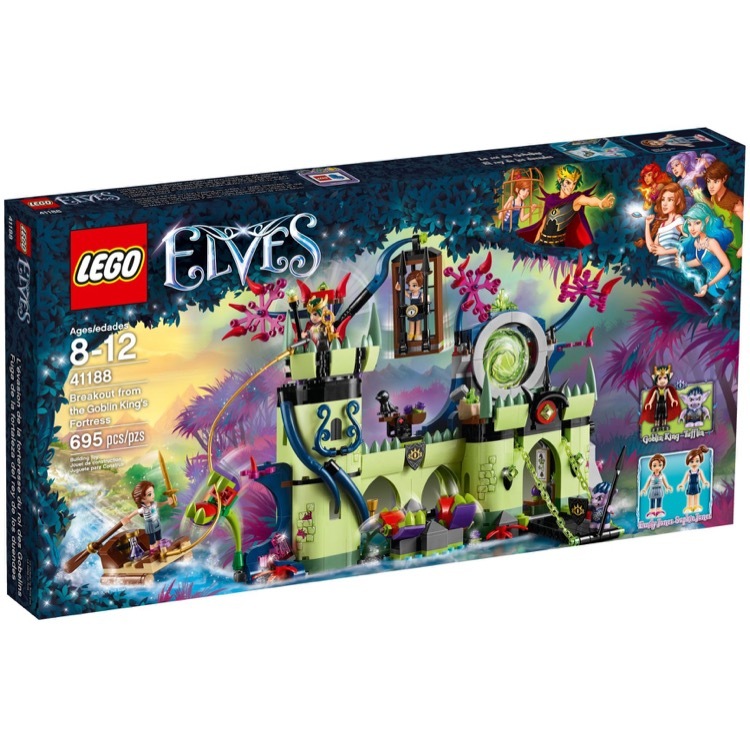 This is a BRAND NEW set of LEGO® Elves 41188 Breakout from the Goblin King's Fortress from 2017. This set is still factory sealed and the box is in very good condition with minor shelf wear. 695 pieces and 4 minifigures©. 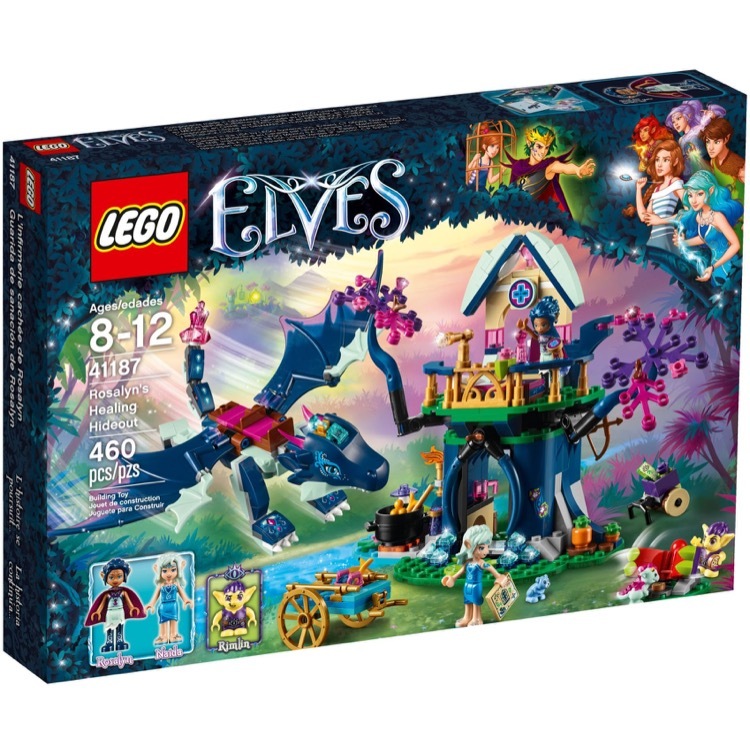 This is a BRAND NEW set of LEGO® Elves 41193 Aira & the Song of the Wind Dragon from 2018. This set is still factory sealed and the box is in very good condition with minor shelf wear. 451 pieces and 3 minifigures©. This is a BRAND NEW set of LEGO® Elves 41194 Noctura's Tower & the Earth Fox Rescue from 2018. This set is still factory sealed and the box is in very good condition with minor shelf wear. 646 pieces and 4 minifigures©. 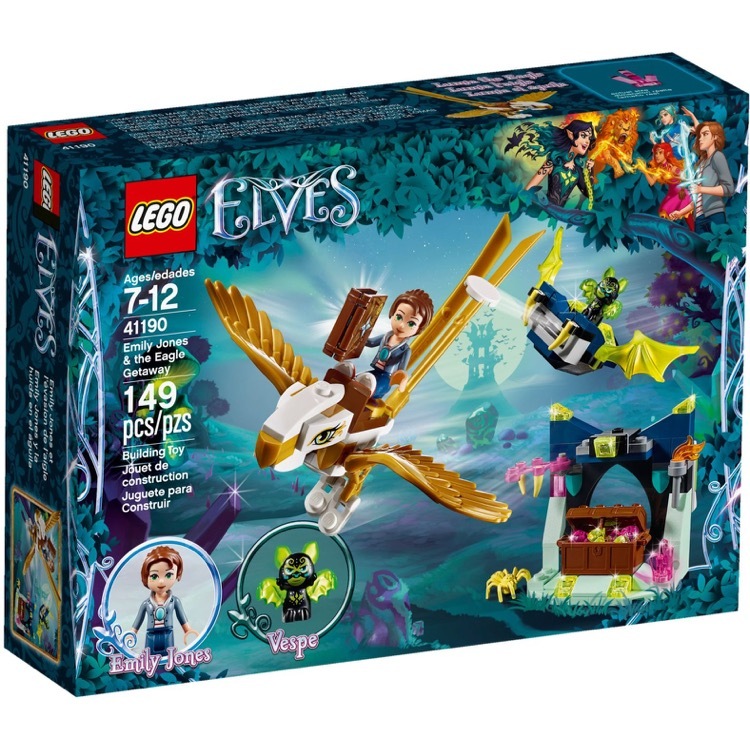 This is a BRAND NEW set of LEGO® Elves 41190 Emily Jones & The Eagle Getaway from 2018. This set is still factory sealed and the box is in very good condition with minor shelf wear. 149 pieces and 2 minifigures©. Copyright www.chowrentoys.com. All Rights Reserved.